The second edition of Viva Technology welcomed over 60,000 visitors in Paris from June 15-17, marking a huge success for the event. Organized jointly by Groupe Les Echos and Publicis Group, this groundbreaking event brought together game changers leading the digital transformation, including 6,000 startups. 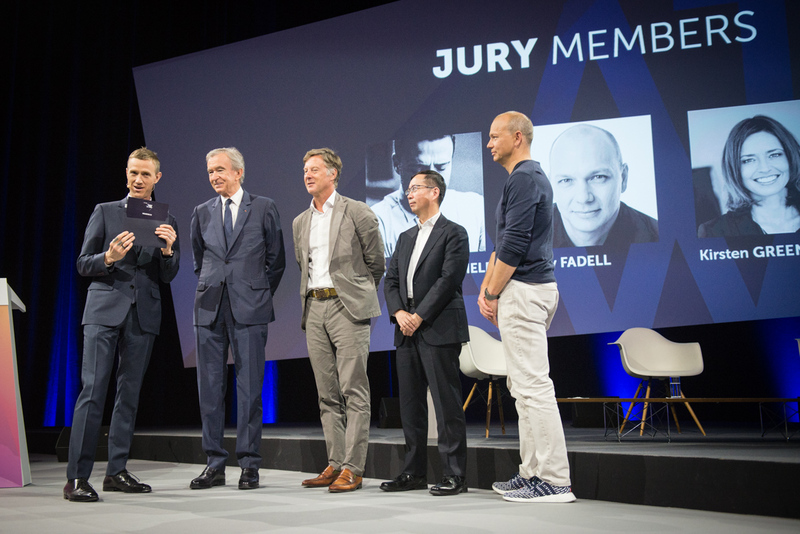 One of them, Heuritech, received the LVMH Innovation Award from jury president Bernard Arnault. As a Gold Partner of the event, the LVMH Group hosted the L’Atelier LVMH lab, which welcomed French President Emmanuel Macron, Economy Minister Bruno Le Maire and Secretary of State for Digital Technology Mounir Mahjoubi. 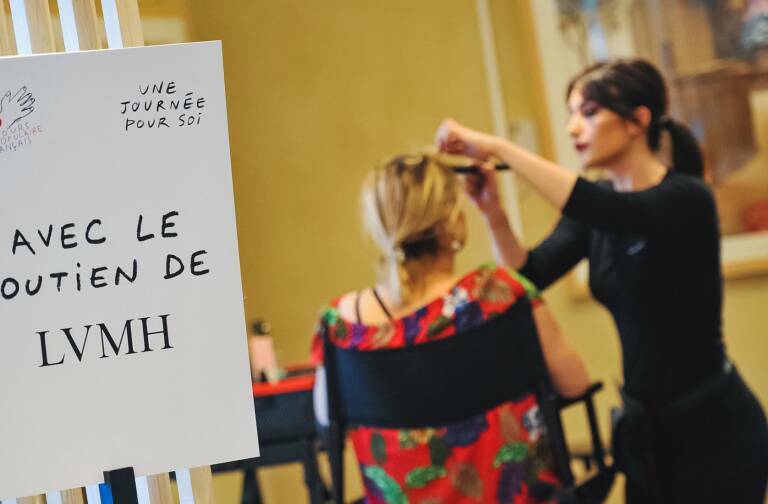 The Atelier LVMH showcased the latest innovations from our Maisons, as well as those from the 32 startups competing for the LVMH Innovation Award, shortlisted from more than 500 candidates from 42 countries. Heuritech, a startup that has developed an AI-powered virtual assistant that can detect emerging trends, was named the winner by a jury comprising prominent players from the world of technology and startups, business angels and business leaders, including Ian Rogers, LVMH Chief Digital Officer, Daniel Zhang, Chairman and Chief Executive Officer of Alibaba, Tony Fadell, inventor and investor, and Sébastien Bazin, Chairman and Chief Executive Officer of Accor. V-Cult won the Public Award. Viva Technology received massive online coverage. 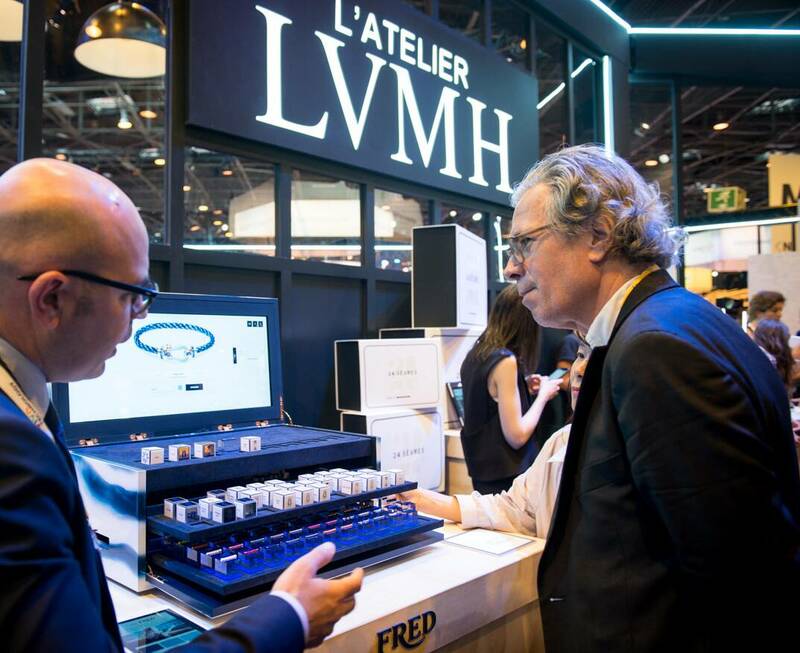 LVMH transmitted highlights live on all the Group’s digital channels, notably Twitter and Instagram, generating major buzz with 2.6 million contacts and 32 million impressions. This impact ranked LVMH the third most visible company on social networks. “Support for young businesses is a tremendous driver for excellence across LVMH and a major source of innovation that contributes to the success of our Maisons,” said Bernard Arnault, Chairman and Chief Executive Officer of LVMH. 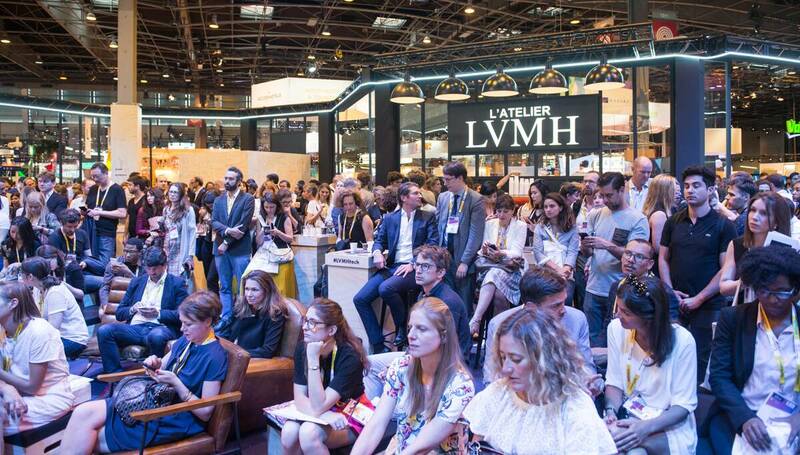 The Atelier LVMH lab provided a vibrant hub where young entrepreneurs could meet with representatives of the LVMH Group and its Maisons. The 32 startups from around the world selected as finalists gave their pitches at the lab. Welcomed by LVMH Digital Officer Ian Rogers, they demonstrated tremendous creativity and strength of conviction in their solutions in a diverse range of areas. Some 20 LVMH Maisons were also present to showcase their latest innovations, including Berluti and an augmented reality system designed with SmartPixels, Rimowa and its Electronic Tag, Ruinart and the “Petit R” experience, conceived with My Little Paris, TAG Heuer and its Connected Modular 45 watch, Fred and the personalization experience for its iconic Force 10 bracelet, and Sephora with its Virtual Artist innovation. La Grande Epicerie de Paris at Le Bon Marché was also present throughout the event. This dynamic engagement proved a source of inspiration for the young talents invited to meet with HR teams from LVMH and its Maisons. 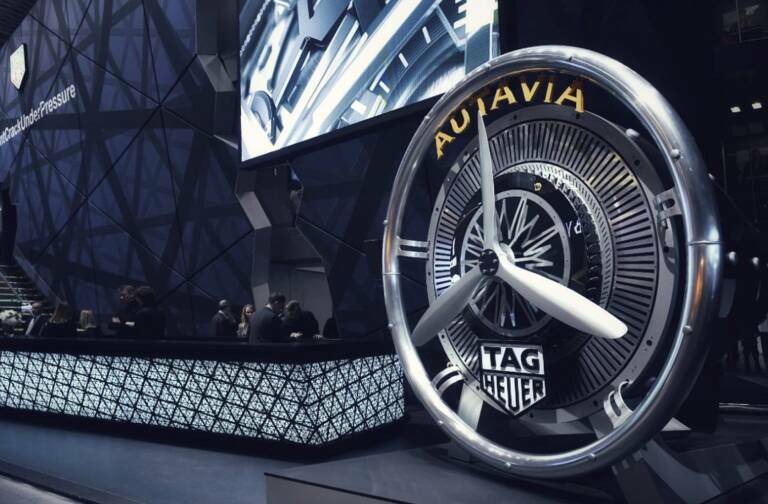 LVMH executives took part in several panels on themes linked to the luxury industry as well. Eric Goguey, Chairman and Chief Executive Officer of 24 Sèvres, was a panel member for the theme “The Future of Retail is Extreme”. Tom Foldesi, Vice-president of TAG Heuer and Sven Lepschy, Vice-president of RIMOWA, discussed the theme “Tech Loves Craftsmanship”. And Ian Rogers, Chief Digital Officer of LVMH, joined panel members Tony Fadell, inventor of the iPod and co-founder of Nest, and Cool Hunting Founder and Publisher Josh Rubin to talk about “Technology & Design”. 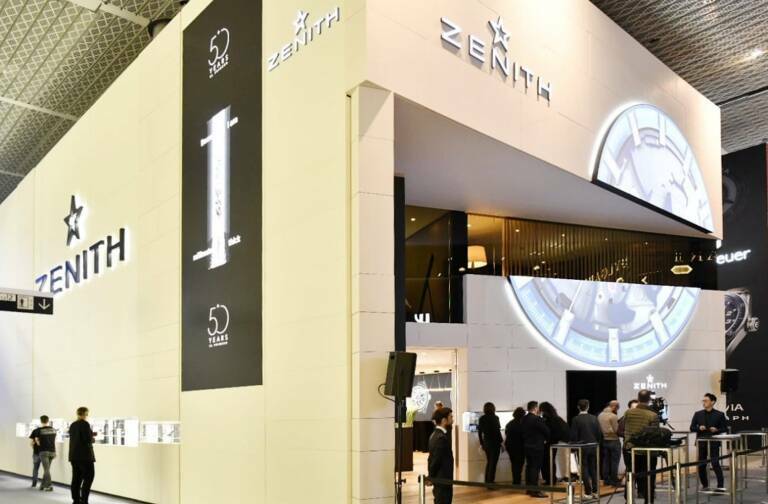 LVMH’s extensive participation at Viva Technology, reasserts the Group’s commitment to embed innovation at the heart of its strategy and establish a leadership position in driving the digital transformation.